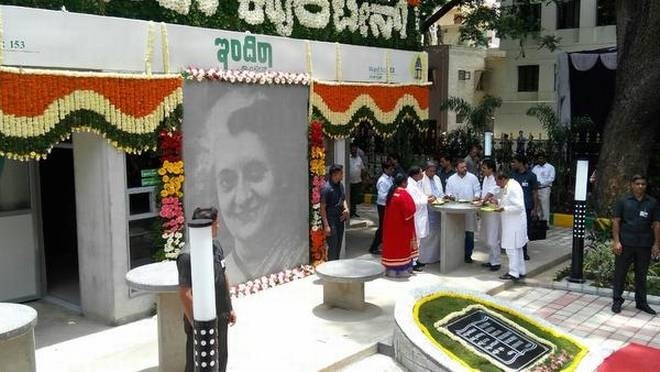 Congress vice-president Rahul Gandhi inuagurates 'Indira Canteen', aimed at serving the poor at subsidised rates in Bengaluru on 16th August. Mr. Gandhi, who had the first breakfast at the canteen in Jayanagar, said 'Indira Canteens' would serve the migrants who came to Bengaluru with a dream to build something. Chief Minister Siddaramaiah said that Indira Canteens was a continuation of the Congress's commitment to a hunger-free Karnataka.